Graham and Ellie have a deep love of God and his Word. They are committed to seeing others trained, resourced and working cross-culturally to ensure that people around the world have access to God’s Word and the good news of Jesus Christ. Graham (the Aussie) and Ellie (the American-Aussie) met at a summer camp in the USA in 1991. They joined Wycliffe in 2000 and since then God has led them on an incredible cross-cultural journey – in the US, Australia, and then Indonesia. 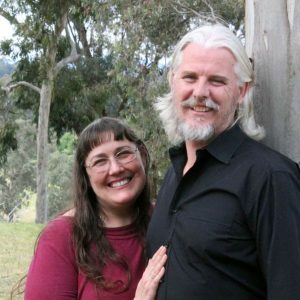 In 2018, the Scotts have started a new chapter in their service with Wycliffe Bible Translators Australia. Graham has taken on the position of CEO of SIL Australia, which includes the role of Principal of its training school program in Kangaroo Ground. SIL Australia is Wycliffe’s training and academic partner, and serves minority language communities worldwide by delivering effective training and consulting in linguistics, literacy, translation and cross-cultural communication for the development of locally owned sustainable language programs. The Scotts are committed to being part of the team helping to complete the global Bible translation task. You can be part of this team as you partner with them in prayer, financial support and encouragement. Graham and Ellie are settling in well to life and work in Kangaroo Ground. They are loving getting to know their colleagues, the staff and students. Sharing meals with them and encouraging them in their work is such a privilege. Graham is enjoying the new connections he is forging with Wycliffe and SIL leaders from around the world, and is seeking new and innovative directions for training, partnering with others, and working with language communities. Life is definitely getting busy here now. We are now inside our final month in Brisbane before our move to Melbourne. This week Graham is attending SIL Pacific Area meetings here in Brisbane. This weekend our church is co-hosting our annual community Christmas carols – a great get together for the community, involving the local state school choir and community orchestra. And the week after we start packing. Our November newsletter has just gone out, if you missed out, let us know and we’ll get it to you.